It’s strawberry season! 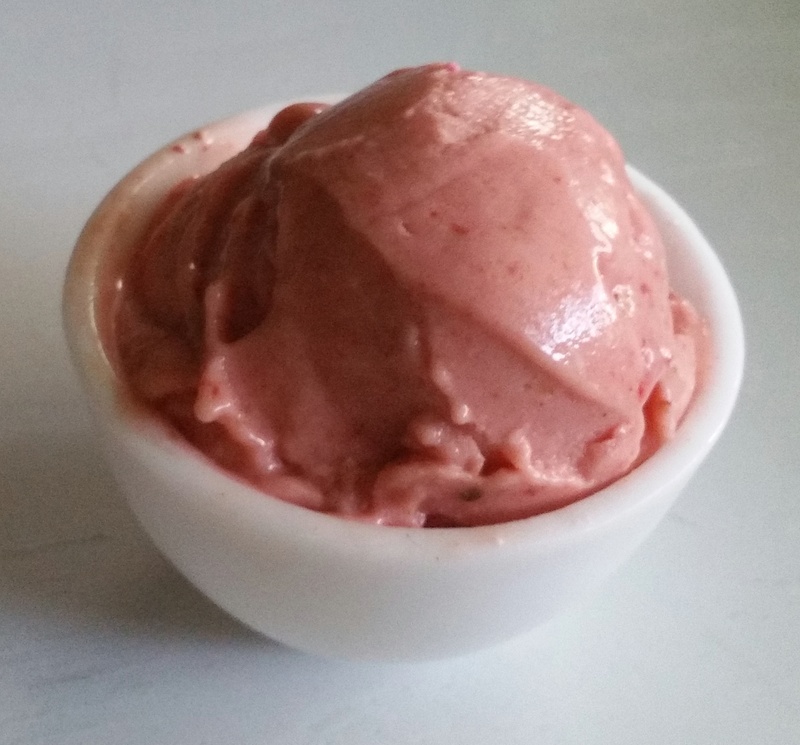 Time for some frozen strawberry decadence. Cashews make this super creamy. Put everything else in a blender or food processor (see my previous post for thoughts on blenders) and turn to high power following your blender manufacturer’s instructions. Use the blender’s tamper to force the ingredients into the blades as it blends. If your blender doesn’t have a tamper, turn the power off every 15 seconds to prod the chunks toward the blades and the smooth stuff away with a wood or plastic spoon. Remove the spoon, put the lid back on and star the motor up again. Blend until smooth (30 seconds to a minute in a Vitamix), but don’t overblend or it will start to melt.